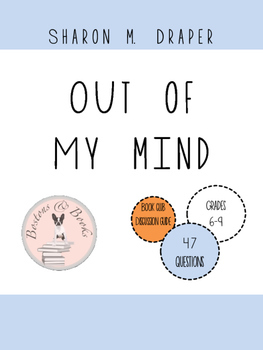 Included are 47 questions that can be used to complete a book club or literature circle on Out of my Mind by Sharon M. Draper. 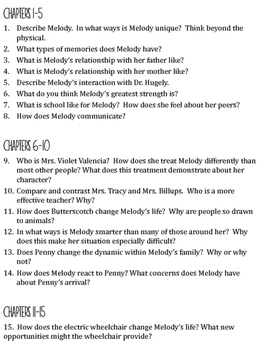 These questions can also be used as study guide questions or for a quiz. Did you enjoy Out of my Mind? You may also enjoy these other titles!